PlaceYourGuests is an online application to help achieve Plan Table and guests automatic placement, useful for organizing parties (weddings, bar mitzvah, Gala Dinner...), meetings or other events that require this. The idea of creating this service was born from the observation that it was sometimes really difficult to design Seating Plan. Often relegated to last position in the list of things to do, guests positionning management creates a stress because of its complexity, which can go up to disrupt the organization of the event. Add an event to your user account through the menu Pricing. 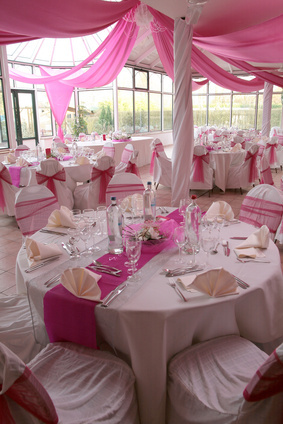 You can choose between 'Private' offers and 'Pro' offers, rather reserved for professionals (wedding planner...). Your events are then available in 'My Events' page, dedicated to their management. Click on your event, you can then import a guests list (tab 'My guest list'). To do this, two options are available: either you create your list from a .txt file (created from Notepad in Windows for example) and here are the rules to follow, either you create your list by importing your guests from your contacts on your Facebook account and magic, even guestlist creating is avoided for you ! You can also view or modify various information related to your event (tab 'My Information'). Place the main step, Seating Plan implementation. PlaceYourGuests service has been designed with a real willingness to allow greater freedom of choice to the user. From 'My seating plan' page (tab 'Realization and Printing'), you can first create your plan manually adding, filling and positioning your tables one by one. You can test and re-test all sorts of possible configuration and give free rein to your imagination. PlaceYourGuests offers assistance to help you to solve your worries placement. Under 'My Proximity Constraints' tab, enter your constraints by drag and drop between your guests as: he is friends with him and must be at the same table or vice versa, he should not be at the same table with him... Once your proximity constraints have been entered and that your tables have been added and positioned, then press the button 'Generate' and system will dispatch automatically your guests with maximum respect of your constraints ! Note that nothing requires you to make fully manual or fully automatic. You might as well carry on a hybrid, eg by setting some guests manually and then inserting some proximity constraints and automatically generate the rest of Seating Plan, system will keep your entered ! You have also choice of options concerning Seating Plan in its entirety, namely: gather the guests according to their age group and/or separate the guests according to their masculine / feminine gender ('My options' tab). Your Seating Plan completed, we'll just print it. System generates a PDF document which requires Adobe Reader to be viewed (free download here). Several documents kinds and many printing options are available as document format choice or font to use, more.